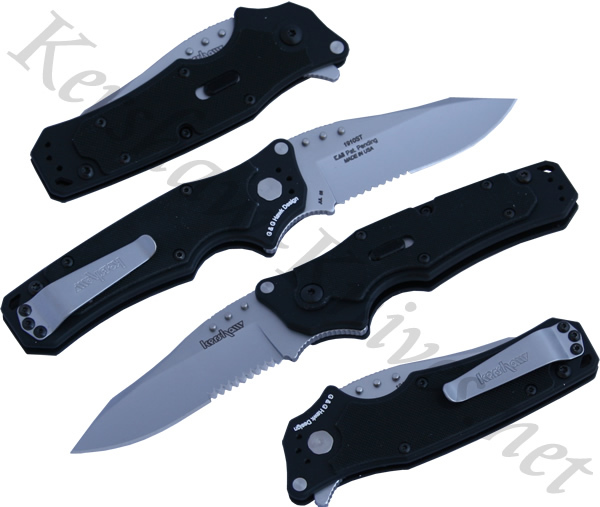 If you want to see a non-assisted knife that opens faster than a switchblade then you need to take a look at the Kershaw RAM knife. RAM stands for Restraint Articulated Mechanism. If you can put aside the crazy name you will discover the Kershaw RAM knife, model 1910ST, has some really unique features. First of all our favorite is the flipper technology that the blade uses. The user pushes the flipper on the spine and the blade comes flying out so dang fast you better be holding on! Secondly the blade is held in place with a spring-loaded piston lock system.